The construction bidding process may be one of the most important aspects of the construction industry, since winning project bids is vital to a successful business. A knowledge of how to bid, create cost estimates, state and federal bidding laws, delivery methods, funding, reporting, and more, are all imperative elements that make up a successful job bid. Organizing this information in order to prepare for a successful bid is also a very helpful step. 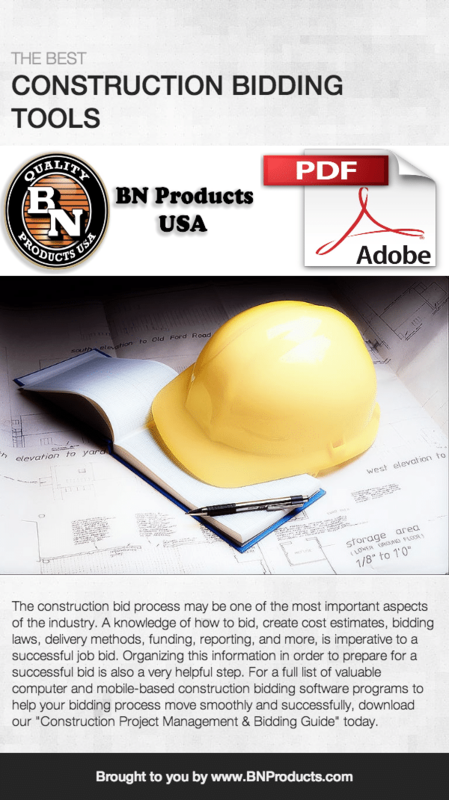 For a full list of valuable computer and mobile-based construction bidding software programs to help your bidding process move smoothly and successfully, download our “Construction Project Management & Bidding Guide” (coming soon).